If you’ve worked long and hard on your resume only to find that it’s not getting the response you hoped for, it may be because you have made one or more common mistakes. 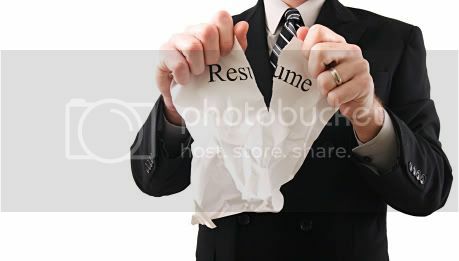 Over my career, I’ve seen tens of thousands of resumes and I’ve seen just about every mistake you can imagine. But some are more common than others. If your resume isn’t working for you, check whether you have made any of these frequently seen errors. Think of a resume as an advertisement for a product, only the “product” is you. Just like any other advertisement, positioning is everything. The person who receives your resume will scan it quickly – perhaps for no more than 20 seconds – to determine whether you can help her company. Your job is to say quickly, clearly and loudly that you can! Don’t just launch into a chronology of your career history. Instead, determine your own positioning by spelling out your message at the start of the resume and giving the reader your version of events upfront. For this reason, you should use the first 1/3 of your resume to create a compelling personal profile which highlights your key strengths in an attractive, easy-to-read format. This may be very honest but it is irrelevant to the reader, who does not care what you want and only cares what you have to offer. Instead of an objective, try using a positioning statement that clearly and concisely explains what you have to offer.